Looking to east from main path the moraines on the side of the Ettrick Hills can be seen. Probably lateral moraines. A shot of a frozen Loch Skene. 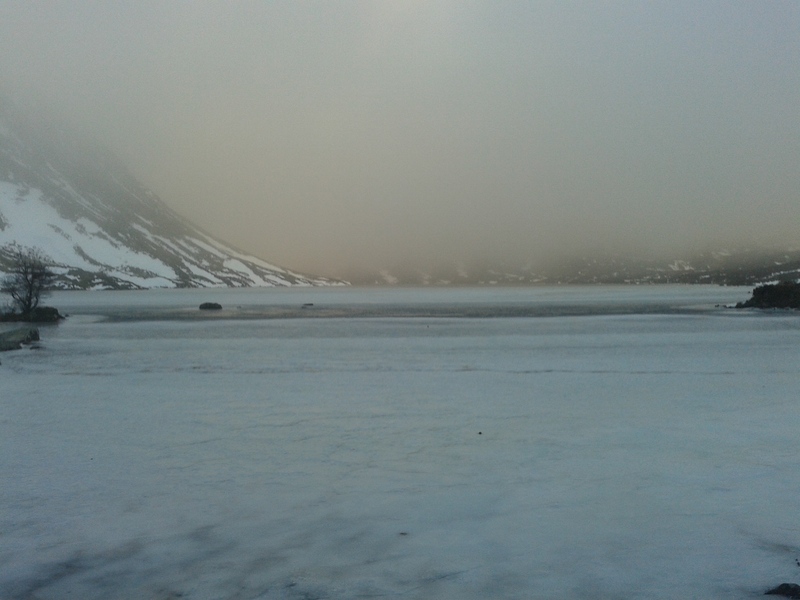 The main coire can be glimpsed to the left in the mist. Start and Finish: National Trust for Scotland carpark at Grey Mare’s Tail. There is a small charge for parking. Some scope for variation of route. 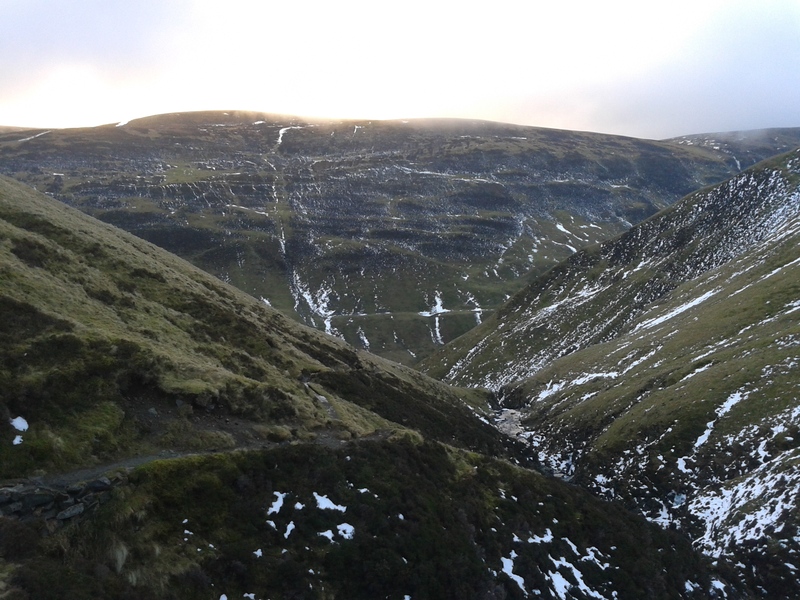 Description: A longer hillwalk in the rough terrain above the Grey Mare’s Tail. The main features are the trip up to Loch Skene (also spelt Skeen), the highest freshwater loch in Scotland, the trip down towards Birkhill and the opportunity to visit an important geological and palaeontological site at Dob’s Linn. It is possible to climb some of the high hills in the area from Loch Skene upon request and, as with all hill trips, is dependent on conditions. Cost: £25 per person for basic trip.